Well, it did help. I put it down to sitting and resting my back (though the electrical stimulation did feel good) and fully expected my back to be hurting again by the time I’d walked back to my car. In fact, it didn’t really start bothering me until I’d been walking around the fair for an hour the next day. So I went back for another demonstration. By the third day I’d decided to phone my doctor about this, and actually dropped off the company’s brochure at her office. She confirmed that TENS therapy was a viable method for pain relief, but that Medicare probably wouldn’t cover it. (Many other insurance plans do.) The Fair price sounded reasonable to her, and I wound up buying a unit. The unit works by applying a small electrical stimulus through pads you stick on your body. The pads must be in pairs so that the small current can flow between them — not much currant, as the thing operates on 3 AA batteries. For my back, 4 pads are used – 2 on either side of my back, above and below the waist, with the current between the right and the left side. The result is a forced muscle vibration, leading to increased blood flow. It feels very much like massage – not like an electric shock at all. I’ve used it a couple of times at home, now. The pads (which are reusable many times) are incredibly sticky when new, and so far I’ve used it mainly on the backs of my thighs, which tend to cramp badly at night. Warning: don’t try to change the position of the pads without turning the unit off! Hands do feel the electrical stimulation as a shock! How does it work? There seem to be several theories, none of them thoroughly proven. But it does seem to help. All in all I think this will be far better for me than pain-killers, which I’m leery of anyway. I’ll let you know what I think after a couple of months of use. 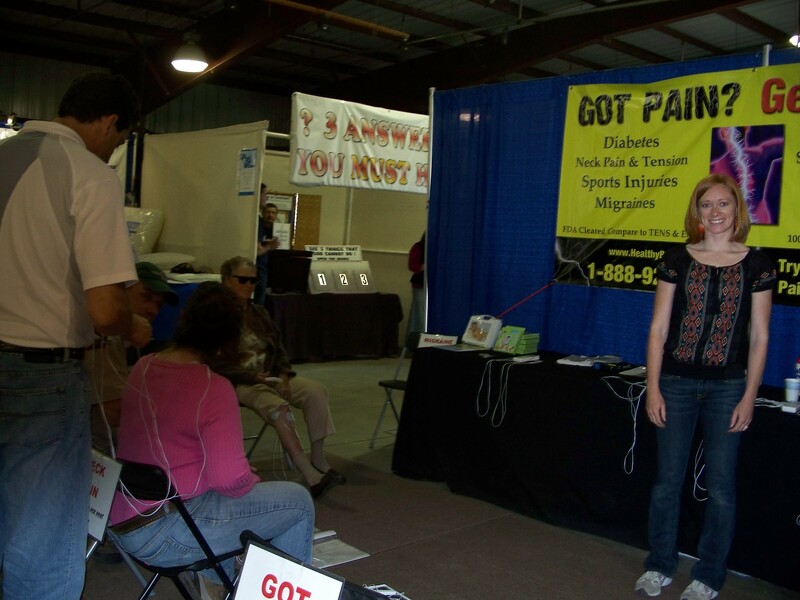 The unit is produced by Home Care Technology Co. and the people at the fair have a website. Diabetes: What’s in a Name? Two hundred years ago, a myriad of diseases were known by a single term: fever. We still use the word as a part of some disease names today – yellow fever, scarlet fever – but more often today the word “fever” is used to describe a symptom: body temperature above the narrow range that is normal for a human being. We have inoculations and other measures to prevent or cure many of the diseases once grouped as “fever,” and if those diseases had not been separated, this could never have happened. The body of a healthy person has a number of feedback mechanisms to keep both body temperature and blood glucose within the ranges necessary for life. Blood glucose feeds the cells of the body, but the use of blood glucose by the cells requires a hormone, insulin. If the blood glucose goes too high, the islets of Langerhans in the pancreas pump out more insulin. This allows the cells either to use the glucose for themselves, to store it short-term in muscles and liver, or to store it long-term as fat. If the blood glucose goes too low, glucose is released from the liver or used as fuel by the muscles which have stored it. When these mechanisms go awry, the result is diabetes. But there are many ways they can go awry. You can treat a fever with aspirin, cold cloths, or ice, but to prevent or cure the fever, you need to know what is causing it. And there are many ways the regulation of blood sugar can go awry. When I was first diagnosed with diabetes, 42 years ago, there were assumed to be two types of diabetes: juvenile and adult. On age, I fell in the crack. Juvenile diabetes required insulin, which must be injected into the body, and one simply does not get over this type of diabetes. Adult diabetes could often be treated with oral medications or even with diet. Since I did not respond to medication, I was assumed to have juvenile diabetes. Today we have type 1 (defined as autoimmune destruction of the ability to produce insulin) type 2 (often considered due to overweight and lack of exercise, but there is evidence that fairly thin people can present with type 2) LADA, gestational diabetes (which may disappear immediately after the baby is born but may go on to develop into type 1 or type 2) and even a type that looks like type 1 but clears itself up. Not to mention the fact that the islets of Langerhans can be destroyed or damaged by things other than autoimmunity, such as chemicals or actual removal of or injury to the pancreas. Why can’t we accept that diabetes is not in itself a disease, any more than fever is, but a symptom of a large number of diseases? It is true that there are two major intermediate causes of diabetes, which may occur together or separately. The more common cause, often associated with a modern sedentary lifestyle, is insulin resistance. There is plenty of insulin available, but the cells seem unable to use it to metabolize sugar. In fact, the body may overproduce insulin in an effort to make up for the insulin resistance, ultimately leading to the death of the insulin-producing cells and the need for insulin therapy. But this is an intermediate cause. The chances are that there are several underlying disease states that produce insulin resistance, some of which may be hereditary, dietary, lifestyle or chemicals. But we’re not likely to find them unless we quit lumping all insulin resistance as type 2 diabetes. The rarer intermediate cause is an inability to produce insulin. If this inability is due to an autoimmune attack on the islets of Langerhans, the result is type 1 diabetes. That of course leaves the cases of insulin-dependent diabetes due to actual injury or destruction of the pancreas by other than autoimmunity, or the inability of the islets to produce insulin for reasons other than their destruction, out of the definition, though as far as treatment goes, they are type 1. Even the autoimmune destruction may have many triggers. Things as far apart as viruses and cows’ milk have been suggested. Treatment is insulin – first obtained from beef and/or pork pancreases, but now biologically (bacterially) produced using the chemical structure of human insulin. Some insulins further modify this structure to give faster or slower action. 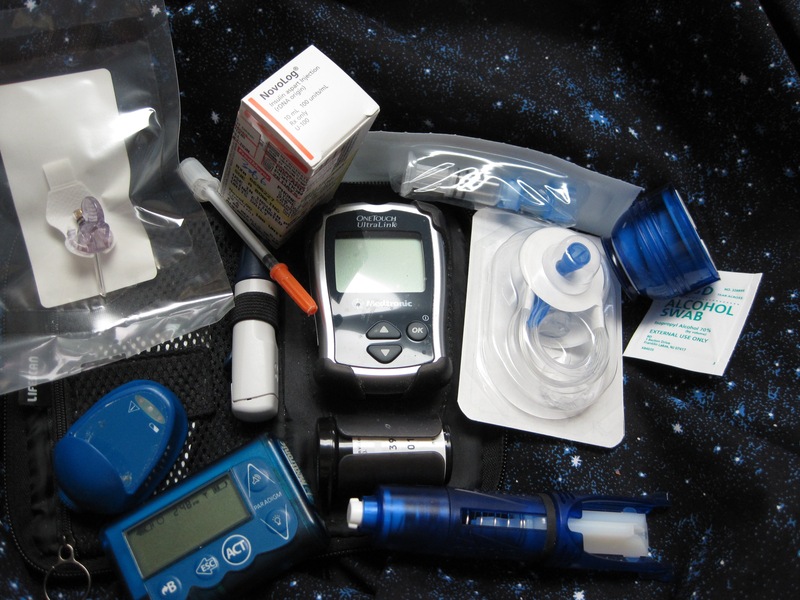 Because insulin is a protein which would be destroyed by the digestive system, it must be given under the skin using a hypodermic, an insulin pen or an insulin pump. Without insulin, death can occur within days. I’ll probably visit this subject again – it’s a favorite rant of mine. Meanwhile, the symptom of diabetes is increasing in frequency worldwide. Why? And which underlying diseases are actually increasing? As I mentioned last week, my primary concern was that my treatment for breast cancer had as little impact as possible on my diabetic control while having maximum effect on the cancer. 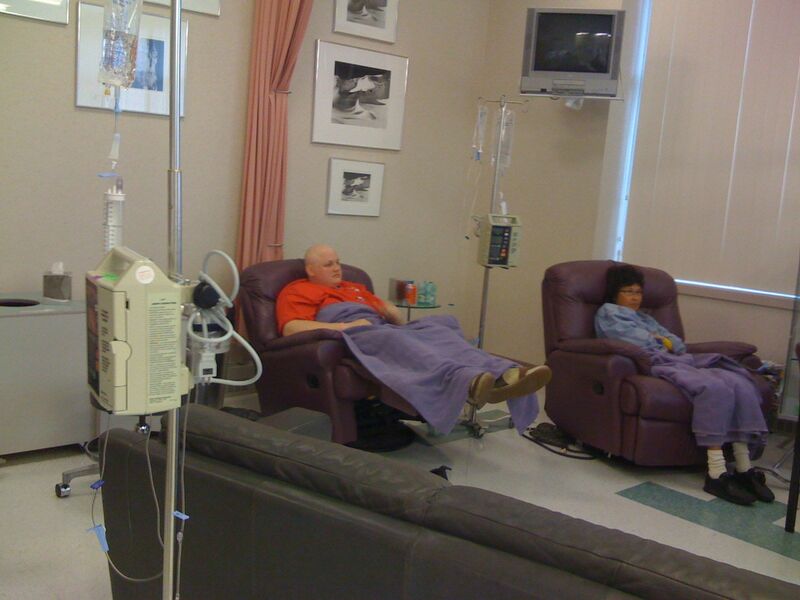 I was well aware that chemotherapy would involve stress, and any kind of stress affects blood sugar. So when the oncologist gave me a choice of two types of chemotherapy drugs, I chose the milder but slower regime, 5-FU plus Methotrexate. It was a mild regime in the sense of minimal side effects, but I had to get an infusion weekly for close to 5 months. And even with this regime I was warned that there was a good chance of nausea, losing my hair or anemia. Luckily, I could get the infusions in Fairbanks, within driving distance of my home, and between the cancer center and VanTran I had a good chance of getting a ride if I got too sick to drive. Remember I said that the diabetes actually helped me deal with the breast cancer diagnosis? It wasn’t all psychological. One of the things I have learned in my years of trying to keep my blood sugar under control is that I have to have regular exercise. I’m not much good at walking any more, but I have an exercise bike, a rowing machine and a treadmill all set up facing my television. About the only time I watch TV or a DVD without exercising at the same time is when my blood sugar is dangerously low. I honestly think that continuing to exercise throughout chemotherapy and radiation treatment had a lot to do with how few side effects I had. It may be that I was simply lucky, that I would have had few side effects from the chemo regardless. I can’t help but believe that some of my generally good health throughout the chemo was due to the fact that I continued regular exercise. Having the rather large needles inserted into my hand was painful and annoying, especially as they always used the hand on the unoperated side, but I never had to have a shunt. Even my hair, while thinning, stayed on my head. I had to get blood tests before every session, and my white and red cell counts did get low enough I had to get some shots to build my blood back up, but I never really felt sick. I lost some weight I could well afford to lose, though unfortunately it didn’t stay off. Most of the summer and early fall of 2008 I was driving to the cancer center every week for chemo. I did stretch the space between appointments once, to attend a family reunion. I’m glad I did, as it was my last chance to see two of my aunts, both then in their 90’s, who passed on a few months later. I’ll talk next week about the radiation therapy. 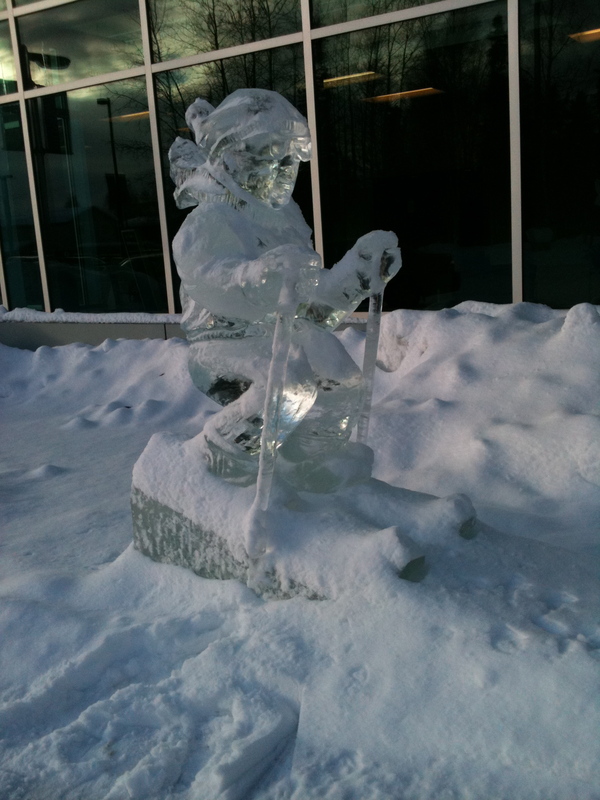 Note—the Sunday blog would normally be about the genetics of the white splash gene in horses, but February 19 is Writing in the Dark, a writers’ conference held annually here in Fairbanks. Instead of the normal horse genetics, I’ll be blogging on the conference next Sunday. I’ll also encourage attendees to put samples of their writing at the conference up as comments. Our leader and inspiration will be Peggy Shumaker, our state writer laureate, and I’m really looking forward to it. A breast cancer diagnosis is a downer—no question about that! I think the doctor who had to give me the news that my biopsy was positive was expecting—well—hysteria? Horror at mutilation? Panic at the C-word? I’ve lived with diabetes for more than 40 years. Of course I was unhappy at the diagnosis, but the prospect of losing a breast worried me far less than the prospect of losing my vision or legs, and I’d lived with both for years. 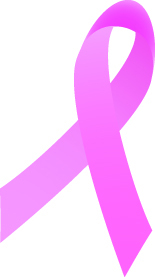 As for fear of cancer, I was already aware that breast cancer, caught early, is one of the most treatable of cancers. And mine was caught early. Because my cancer had been caught early, I had a choice of mastectomy (removal of the affected breast) or lumpectomy followed by radiation therapy. Being lopsided didn’t bother me, but the possibility of surgery affecting the diabetes did. I chose right through to go for the options that might take longer, but would have minimal impact on the diabetes. For surgery, that meant a lumpectomy followed by radiation therapy. I expected to be miserable after the surgery, but compared to a knee replacement a couple of years earlier it was a breeze. I don’t think I even used the pain prescriptions after the first day or two. I did have a drain, and that was the major annoyance connected with the surgery. I needed to raise my basal insulin for a few days, but aside from that my insulin pump kept my diabetes under control very nicely. I think my main problem came from the fact that I had two oncologists, one for the radiation therapy and the other for chemotherapy, and they weren’t communicating very well. There was some question as to whether or not I needed chemotherapy, the genetic makeup of my tumor, and which should go first. They finally got it sorted out that chemotherapy should come first. One thing I should say at this point. 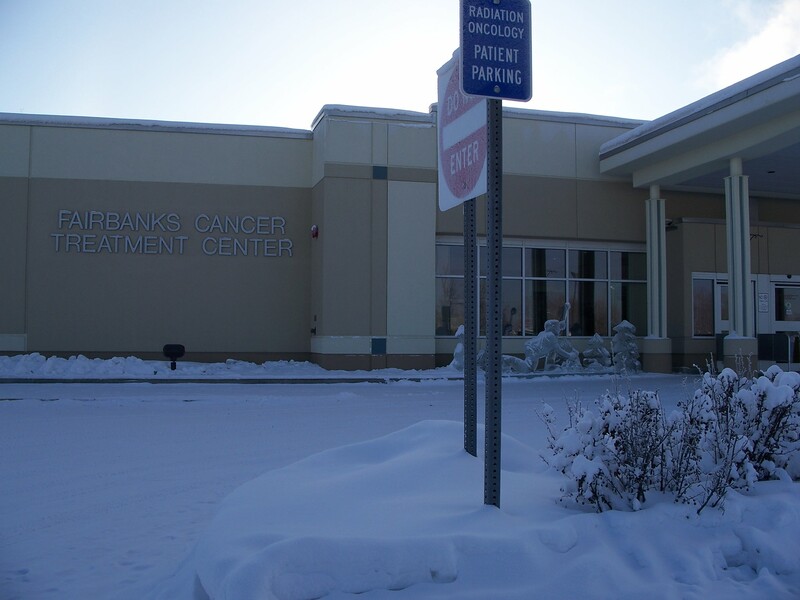 Fairbanks Memorial Hospital added a cancer center not too long before I was diagnosed. Before that, I would have needed to go to Anchorage, 350 miles of mountain roads away, for either chemotherapy or radiation therapy. As it was, my therapy was within driving distance of my home. I’ll get into the post-operative therapy next week. For now, I’ll just say that the diagnosis really woke me up to my own mortality. 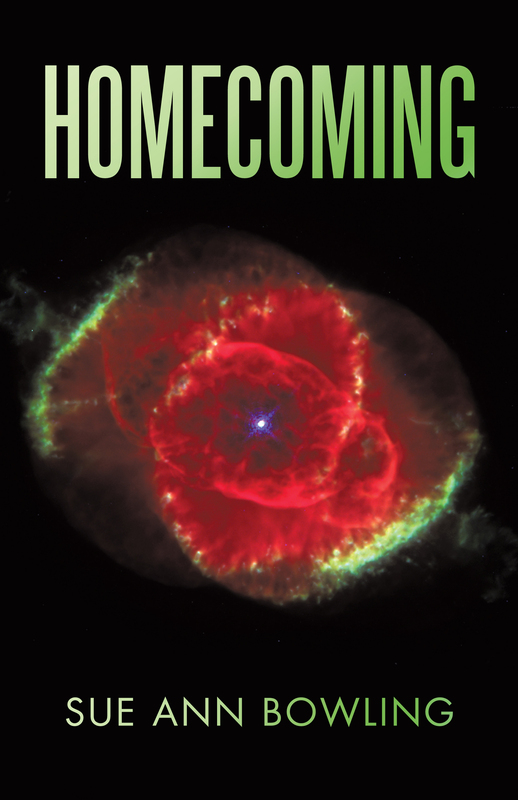 It was the final push that determined me to go ahead with assisted self-publication for Homecoming. Maybe if I had really kept at it I could have found an agent or a publisher. Certainly the book has garnered some fine reviews and is currently a finalist in one contest. But the cancer diagnosis was the final push.